Are Retailers Ready for the Omnichannel Movement? Omnichannel in retail is a technological movement that has not only disrupted the way companies approach customer service, but it has provided consumers with a fully-integrated and transparent online shopping experience. Omnichannel has, in recent years, become less of a “nice to have” and more of an expectation from the customer-facing side. It aligns the on-site experience with mobile, e-commerce websites, social media, retargeting, and more besides, delivering value from end-to-end. The omnichannel approach allows retailers to be everywhere they want to be, which, on the surface, seems like the holy grail we’ve all been seeking. However, only 25 percent of retailers in North America see omnichannel as their number one priority. Going back a few years to 2015, 45 percent of retailers felt the same way. If omnichannel was indeed the next frontier, the trend should have been upward. So, what’s the problem? In some cases, the number of channels that need to be connected may be a barrier. To access the gamut of omnichannel benefits, marketplaces, marketing, merchandising, fulfillment, mobile, and support need to be connected. Retailers, overall, can certainly agree that omnichannel is important. In fact, the vast majority place omnichannel as one of their top three priorities for 2019. But—and this is significant—they may not see as being as important as other initiatives, such as content and experience management, and mobile, for example, which supports the “buy via any channel” philosophy. Take the “buy online/pick-up in-store” (BOPIS) as an example. The United States lags behind over the rest of the world for BOPIS adoption. While 37.6 percent of retailers in seven major countries offer BOPIS, only 27.6 percent of American retailers can say the same. To break down the countries in the “other” group, BOPIS is offered by 64 percent of retailers in the UK, 50 percent in France, 43 percent in Germany, and 31 percent each in Australia and Canada. During the Christmas shopping season of 2018, BOPIS sales grew by 47 percent in the US, so clearly, consumers want this. It could be that retailers in the US are dealing with more volume of inventory and more products in general, making it more difficult to manage. Retailers who do not yet employ RFID sensors will have difficulty entering this space as showing accurate inventory levels and their locations would not be possible. Retailers that are looking to dominate through omnichannel need to embrace digital transformation in all its various facets. This includes leveraging technologies like RFID sensors to track inventory in real-time, allowing consumers to view and purchase products in any way and on any device they choose. Other technologies that support omnichannel retail include artificial intelligence (AI), which can accomplish many tasks from personalization and content creation to assisting consumers with basic customer service functions. To take advantage of these benefits, retailers must embrace their digital transformation with an eye toward preparing for key omnichannel technologies. As consumers become increasingly more demanding, the ability to deliver a highly personalized and seamless experience is what will place some retailers on top and see others culled. 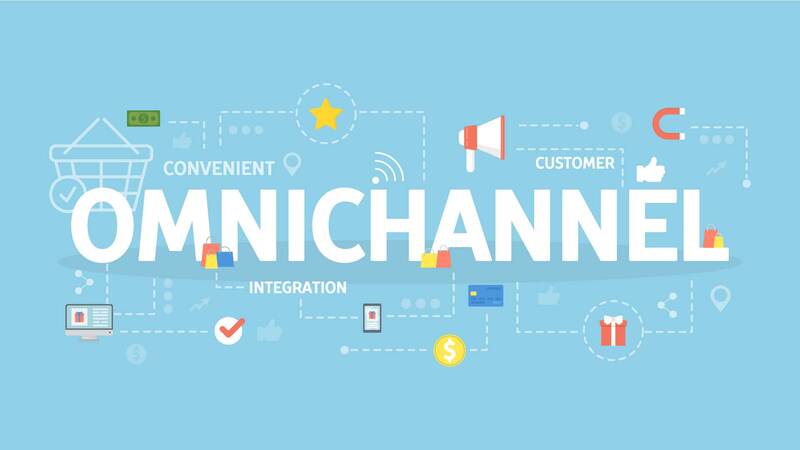 If you would like to learn more about how omnichannel can transform your business, reach out today.